Controllers play a major role in complex measurement systems because they must ensure smooth operation. The R&S®PSL3 from Rohde & Schwarz is a controller that meets demanding requirements. 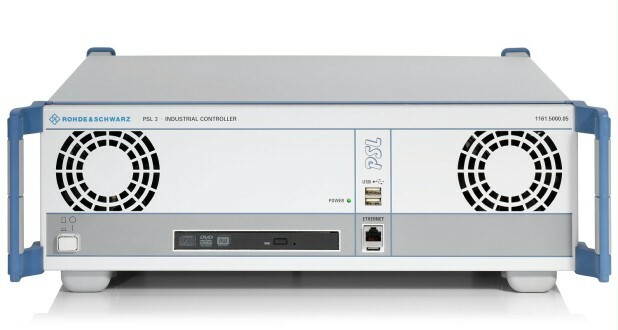 The R&S®PSL3 is a compact, powerful industrial controller. It has a large number of interfaces for fast and smooth integration in test environments. The R&S®PSL3 features excellent EMC characteristics, a wide operating temperature range, a robust design and high reliability. Reliability, long life and customer-friendly service are of primary importance, particularly in industry. The R&S®PSL3 was optimized with these requirements in mind. 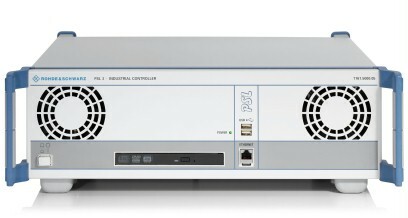 This is why the R&S®PSL3 is used as the standard controller in system solutions from Rohde & Schwarz. Although industrial controllers tend to be expensive, the R&S®PSL3 is favorably priced. Focusing on the main functions made it possible to achieve an excellent price/ performance ratio despite the use of select hardware components. The sophisticated concept offers maximum flexibility. Functionality can be expanded almost limitlessly. Rohde & Schwarz is well-known for the high quality of its products and has years of expertise in the field of industrial controllers. Values specified in the data sheet such as mechanical resistance, temperature, safety and EMC characteristics are reliably checked and optimized through complex tests.